May your hands be cleansed, that they may create beautiful things. May your eyes be cleansed, that you may see the signs and wonders of this world. And may that smoke carry our prayers, spiraling to heaven. The burning of raw + natural + sacred botanicals is not a new idea. 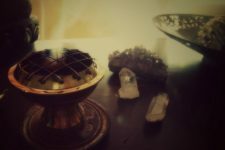 For millennia, people from a variety of cultures have been purifying the air and clearing negativity through smudging. Why do People Smudge their Homes? The primary purpose of burning these fragrant + magic materials is to remove or modify negative energies that invade a space — namely our homes — over time. How do these energies get there? It’s as simple as hosting a negative person in your personal space — or as troubling as having a negative experience take place within that same space. Whether we acknowledge it or not, negative energy is influential…having a direct affect on our spirit + mood. 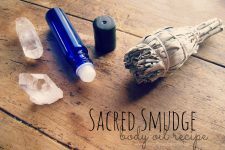 Just like we form habits for washing the dishes, sweeping the floors, and wiping down the counters — I encourage you to make smudging your home a routine practice. …who doesn’t love a fresh + sweet smelling + fragrant home? And a natural one at that! Smudging your home with plants such as white sage, palo santo, cedar tips, and lavender flowers is an EXCELLENT alternative to burning chemical-laden candles, or using toxic air fresheners. And especially as the Winter deepens — just before the hope of Spring ignites the light of warmth — it is not uncommon to crave the blessing of a clean + fresh space. …I totally enjoy blending ingredients and have crafted a handmade loose incense that I have been burning 1-2 times a day. And oh.my.goodness. I’m in love! *It is super important to use organic ingredients when creating this blend. 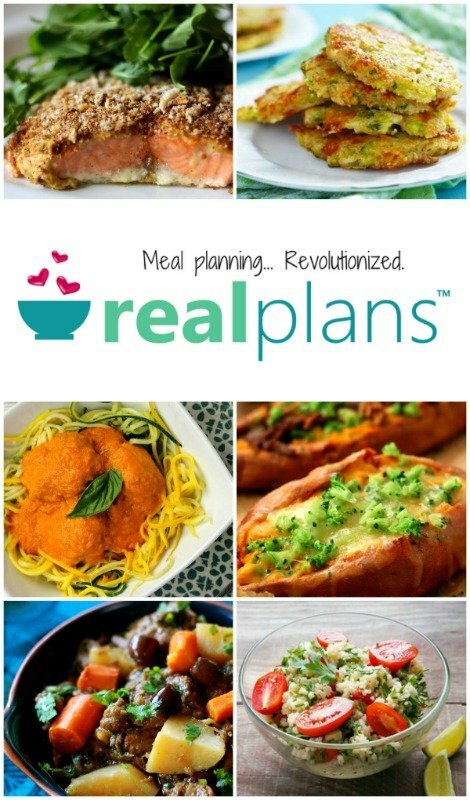 I have linked to the products I personally use as a reference. 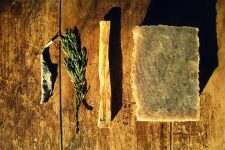 Measure palo santo (Simply use a knife to whittle off thin shavings if using Palo Santo Sticks OR I like to purchase Palo Santo Powder here), white sage, cedar tips, and lavender flowers into electric grinder or mortar+ pestle — omit sandalwood powder at this time. Grind the botanicals, producing a fine powder. 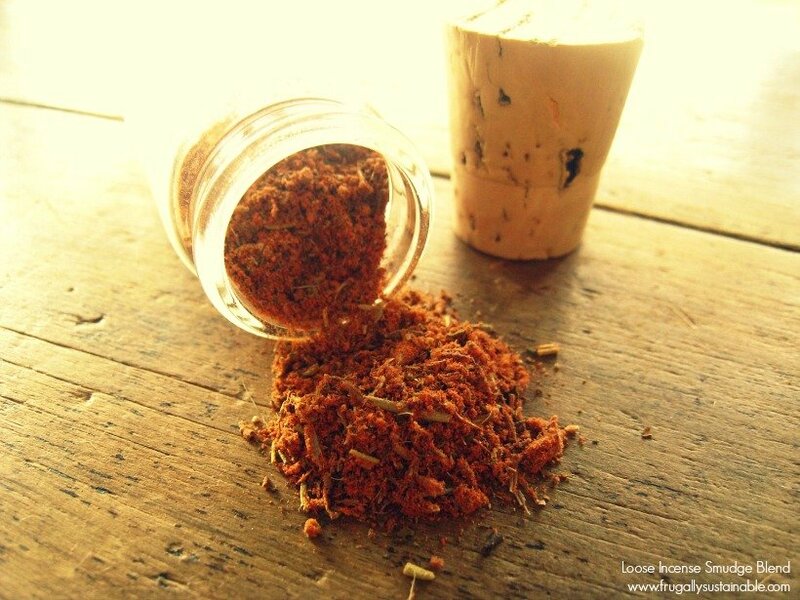 If using a mortar + pestle, add sandalwood powder and essential oils and combine. If using an electric grinder, transfer herbs to a glass bowl, add sandalwood powder and essential oils, use a small wire whisk to combine. *See my Pin on Pinterest for a picture tutorial. Place a layer of sand and then a charcoal round in a heat-proof dish. Note: These are the charcoal rounds and the sand I use, and the brass incense burner I have in my home. Light the charcoal round. Note: You will know that it has caught light because the disc will start to crackle a bit. Add a small-ish amount of loose incense atop the center of the disc. Repeat as often as desired. Enjoy the aroma while you allow the smoke to cleanse + heal. When burning this blend, it is vitally important to remember to set an intention. By that I mean…no matter if you are attempting to heal, purify the air, or clear negative energy, you should clearly verbalize — speaking the words out loud — your desire. Smudging without verbally setting an intention is meaningless. If it’s healing you seek…ask for it. If it’s energy clearing you need…tell that energy to leave. 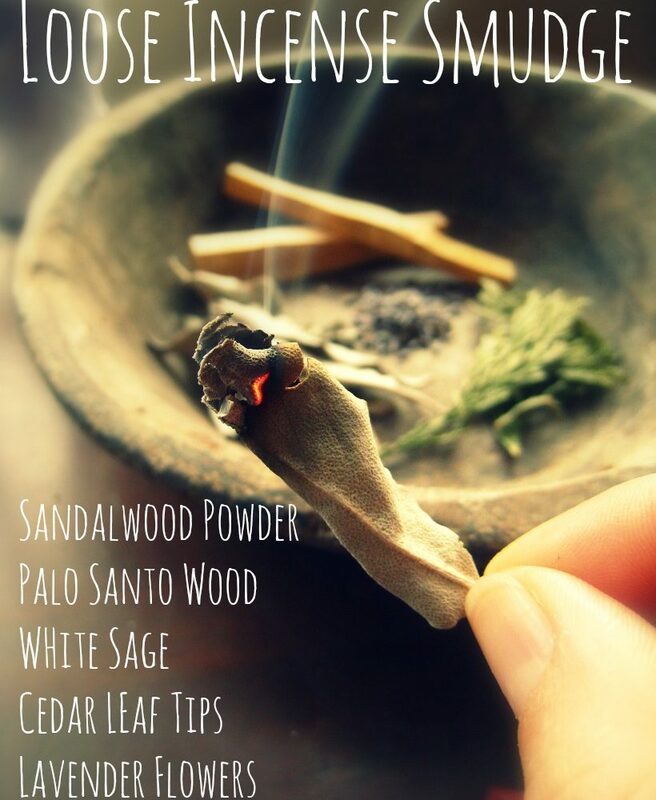 It is also best practice — but not essential — to use a smudging feather to distribute the smoke throughout your space. Thank you so much. You are greatly appreciated. Thank you for reading Carrie…and thank you for your encouraging words! A wonderful prayer!! May I use it when I smudge with sage sticks rather than incense?